This course describes how to configure and manage a System Center 2012 R2 Configuration Manager site and its associated site systems. The course focuses on day-to-day management tasks for System Center 2012 R2 Configuration Manager. The course has been customized to answer to your specific needs. 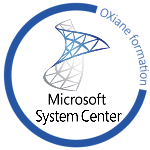 Remarks : the course is on System Center 2016 !! !